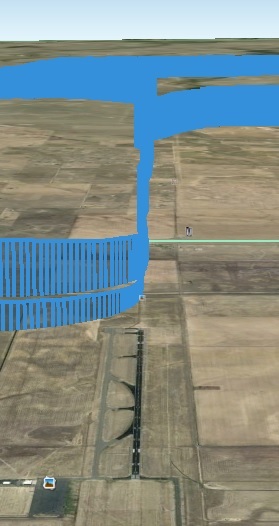 Today we had another standard session of ILS, localizer and GPS approaches at Front Range and Centennial. This time only the ILS with full panel and during the latter two approaches I had a simulated vacuum pump failure. Or to make it sound less dramatic, my instructor put sticky-notes on some important instruments. ILS and LOC (partial panel) into Front Range runway 35. 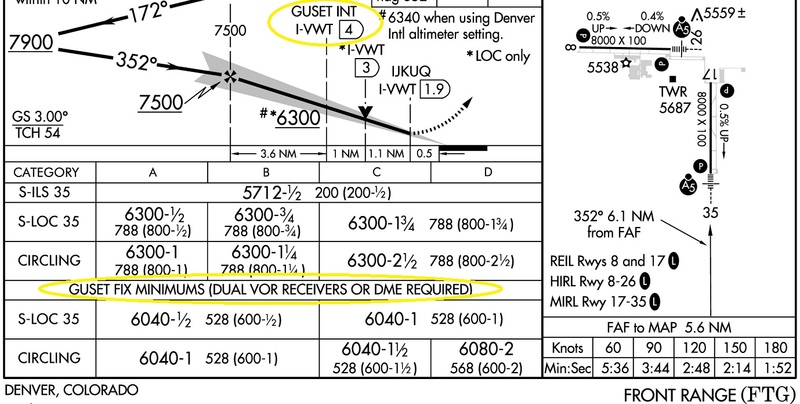 On the flight log you can see both the ILS, intercepted from the right, and the localizer approach. A dozen flight hours ago the final approach courses looked like a series of s-turns. Now it looks like a line, even if flown with partial panel. That is the difference between chasing the needle and flying certain headings. Especially when using the magnetic compass it is easy to overcorrect. I learned that I need to take some time to read the instrument. In light turbulence the indicated heading can be off as much as 30 degrees and it requires some patience to get accurate information from the compass. During the localizer approach I made one mistake. I used higher minimums than I could have, since the airplane was equipped with DME. This detail caught me and it is a good example of how important an approach briefing is. Although I had done one, I had done it in flight on partial panel. When I imagine such a scenario in IMC, I would probably ask for a delay vector to give myself time for a proper briefing. Take your time to read all details of an instrument approach procedure. Still flying with stickers covering the attitude indicator and directional gyro, we headed back to Centennial. I chose the RNAV (GPS) for runway 28 with a circling to 17 left. A circling has to be flown close to the runway and the minimum circling altitude must be maintained until a descent for landing is necessary. On the flight log this becomes apparent, I kept a cushion of about 50-100 feet above the minimum during the approach. This pattern was way too far from the runway, but the tower instructed us to do so due to traffic. Next week I have an IFR phase check with a different instructor and the following week is already the practical test. I still don’t feel well prepared for the oral exam but at least this feeling keeps me studying. I am looking forward to my first flights on IFR flight plans by myself. Just like the private pilot license, the instrument rating doesn’t make me a professional. It simply gives me the tools to start learning on my own.